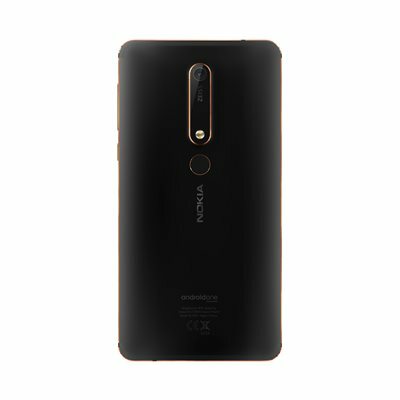 The new Nokia 6 starts with a demanding sculpting process that transforms a single solid block of aluminum into the unibody of a durable smartphone you can take anywhere, and comes equipped with a Qualcomm Snapdragon 630 processor and 3G of RAM, which means that you expend less time waiting for your apps to load and more time with your friends. The 16 MP camera with ZEISS optics and dual-tone flash on the new Nokia 6 make every picture worthy of sharing without hesitation. Or record 4K video and grab high-quality stills in an instant, then zoom or crop without compromising on quality. Capture what's happening in front of and behind the camera simultaneously with Dual-Sight mode. Then broadcast every split-screen side-splitting moment straight to Facebook Live™ or YouTube Live. Built to last, made out as a single block of 6000 series aluminum, Nokia Plate 2 is machined, anodized and polished over an 11-hour process to create the strong, assertive design, with distinctive two-tone anodized diamond cut edges. Real life performance , Latest generation, highly optimized Qualcomm™ Snapdragon® 630 mobile platform, bright, high contrast 5.5” full-HD screen in more compact screen to body ratio (74%), 3GB RAM with 32GB Storage + MicroSD (up to 128GB), and Fast USB type-C charging gets you to 50% in only 30 mins.